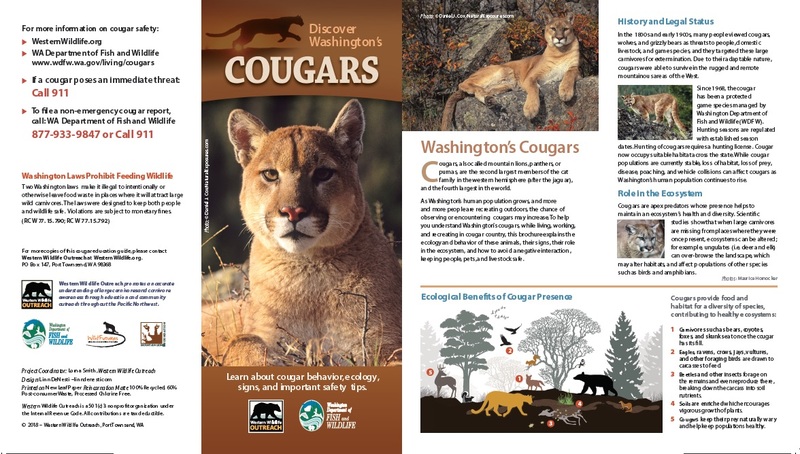 Discover Washington’s Cougars Brochure Newly Revised! 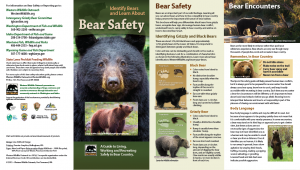 Bear Safety Brochure – NEWLY REVISED! This important revise, tri-fold brochure all about Washington’s cougars is a 4” x 9” folded size that opens to four panels wide and opens again to a 16” x 18” poster filled beautiful photography and detailed facts about cougars. You’ll learn about cougar behavior, ecology and signs, learn valuable safety tips, and get questions answered with a detailed list of frequently asked questions. This web site contains most of the information contained in the brochure. These are available on special order. 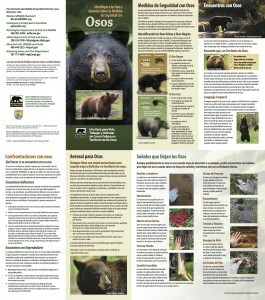 The updated Bear Safety brochure is a 4” x 9” folded size that opens to four panels wide and opens again to a 16” x 18” poster filled with beautiful photography, useful, accurate information about grizzly and black bear identification, behavior, safety, and sanitation considerations for the home, ranch, campground, or while hiking, and hunting. These are available on special order. 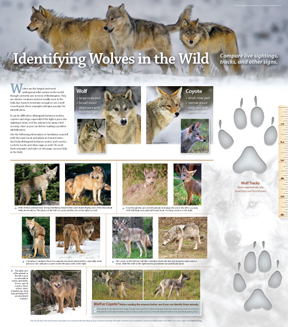 This important brochure is a 4” x 9” folded size that opens to four panels wide and opens again to a 16” x 18” poster filled with wolf/coyote comparison images, beautiful photography, and detailed facts about identifying wolves. 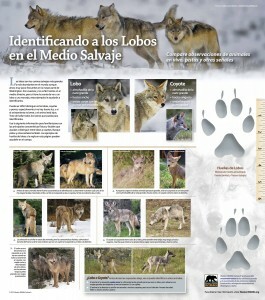 You’ll find full-size tracks, with size comparisons between wolves, domestic dogs and coyotes. This web site contains most of the information contained in the brochure. These are available on special order. This pair of door hangers provides important cougar safety tips if you live, work, or recreate in cougar habitat (back side of both is shown on the right). 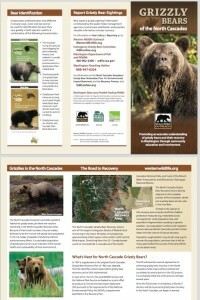 Feel free to download the PDFs, or contact us if you are interested in getting the door hangers into your community. The hangers provide information reminding residents about how to keep families, pets, livestock, and property secure, and what to do in the case of a rare encounter. Incident report phone numbers are included and make these a convenient item to keep inside your back door, or to share with a neighbor. Download We Live in Cougar Country and A Cougar Has Been Seen in Your Area Recently. Both are high quality printable PDF files. Educate friends, community groups, neighborhood associations, and others with these valuable tools. 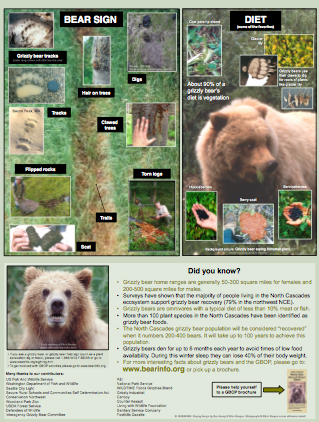 These glossy door hangers provide important reminders about how to keep your yard free of bear attractants, and to alert neighbors in an area where bears are active (back side of both is shown on the right). Tips on proper sanitation and incident report phone numbers make these a convenient item to keep inside your back door, or to provide to a neighbor. 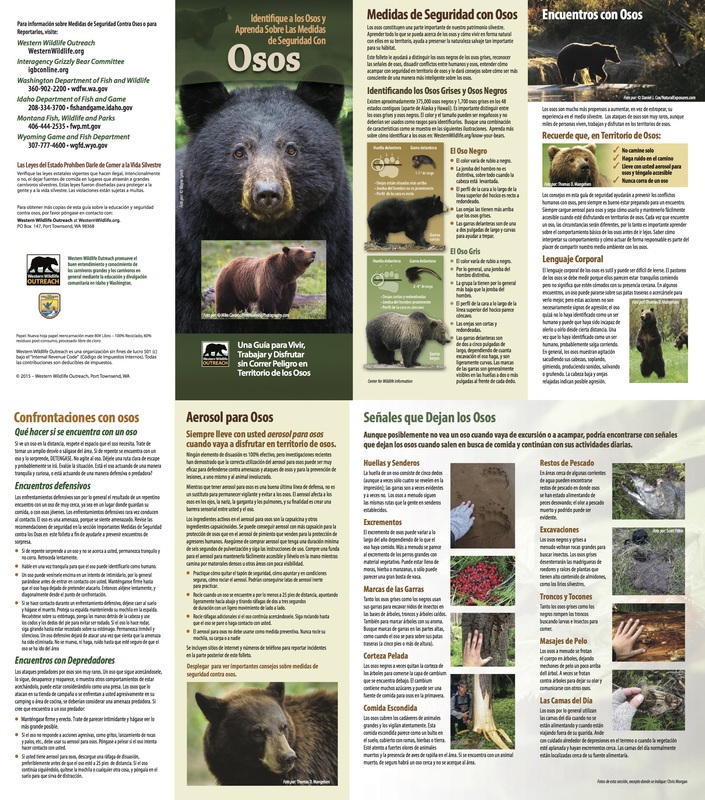 Download a PDF version of Bear Country Door Hanger for Washington Residents and Bear Country Hanger for Washington and Idaho Residents. For those neighborhoods currently experiencing bear conflicts, the Bears Are in Your Area Hanger for Washington Residents and Bears Are in Your Area Hanger for Washington and Idaho Residents are means to educate neighbors about discouraging bears from the area. All are high-quality, printable files. The Selkirk Mountains of Washington, Idaho and British Columbia are home to two species of bear, the grizzly bear and the black bear. 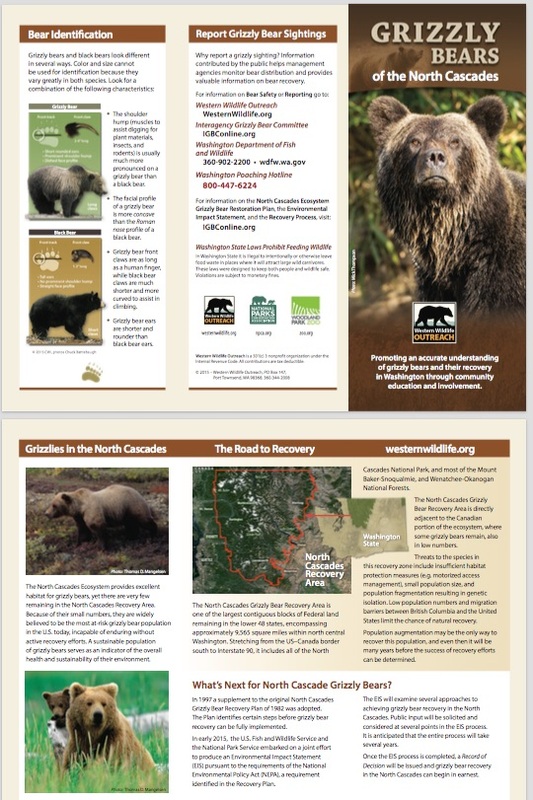 This brochure covers the importance of this region to the recovery of grizzly bears, how to identify a grizzly bear from a black bear, and how to report a sighting. (two 8.5 x 11 sheets) containing interesting facts, maps, and statistics Download a pdf version (2.5 MB ). 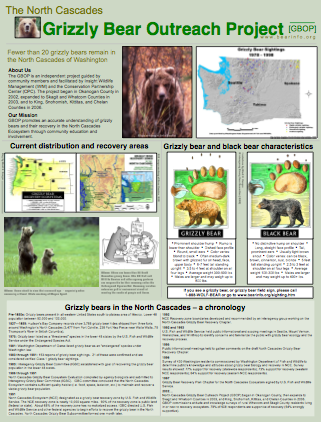 Journal Article (pdf) – This five page article, Promoting understanding: The approach of the North Cascades Grizzly Bear Outreach Project, is published in the journal Ursus (2005) and provides information about grizzly bears, grizzly bear recovery, and the GBOP’s successful outreach approach. 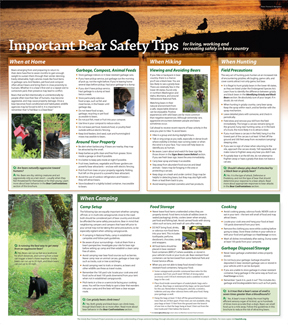 Be Bear Smart WWO– This handout lists simple steps you can take in and around your home to be bear safe. Bear Tracks Flier (pdf) – This handout shows the Palmisciano Method for differentiating black and grizzly bear tracks. 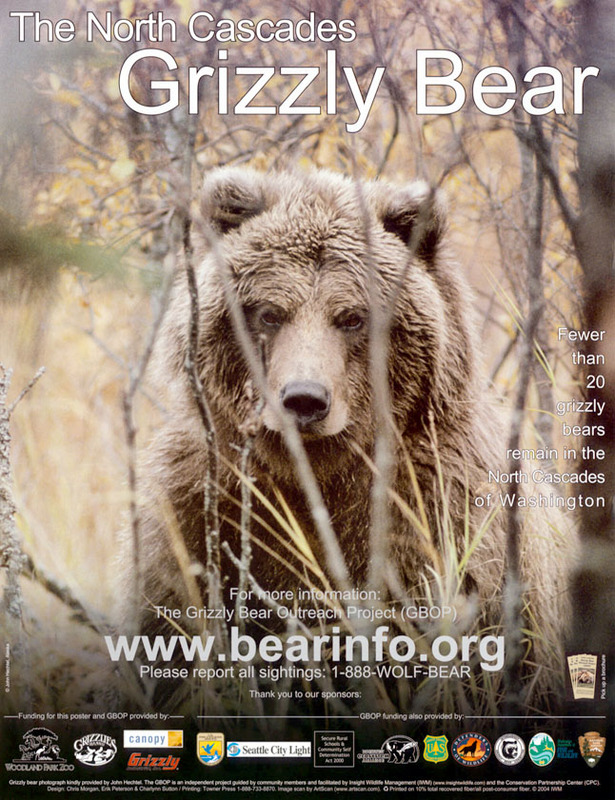 Interagency Grizzly Bear Committee Certified Bear Resistant Products – This document explains how the IGBC certifies food storage containers and includes a list of containers they have certified for use on public lands. Gray Wolf Kids Quiz and Answers– Are you Wolf Smart?! 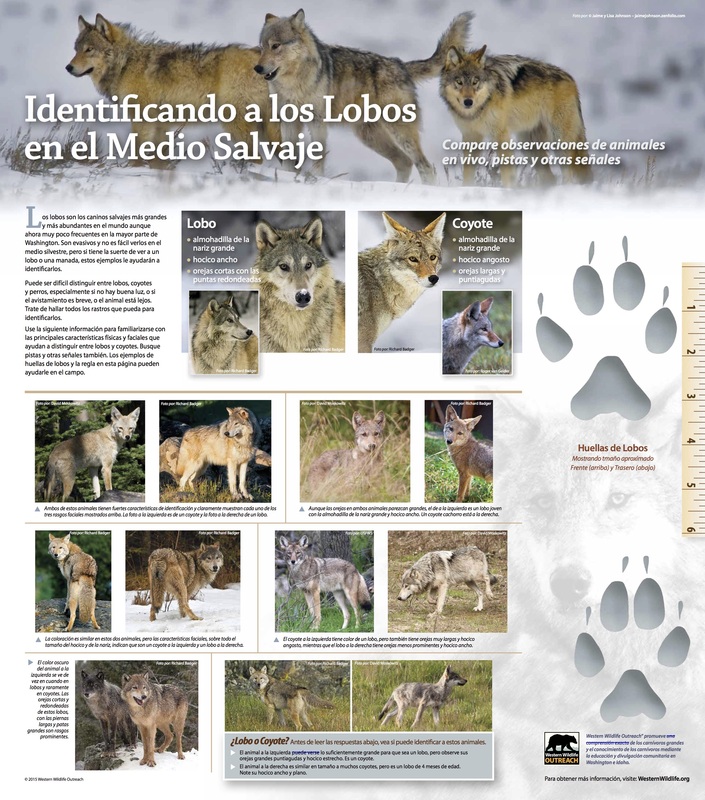 Take a short Wolf Quiz and find out! 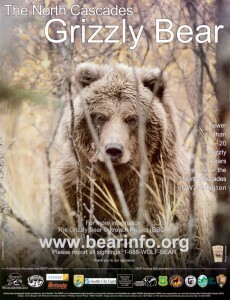 Bears of the Last Frontier – A book by Chris Morgan to accompany the television series.